In our commitment to help you find products that can meet your skin’s unique needs, we took the time to find out which among the 18 different brands we’ve reviewed can be considered as the best moisturizer for rosacea. They products that made it into this list have been carefully selected based on their ingredients, formula and ability to moisturize the skin without triggering flare ups. Choose Miravage Facial Redness and Rosacea Relief Cream & Anti-Aging Moisturizer Serum if you are looking for the best moisturizer for rosacea. Apart from calming redness, this one also offers anti-aging benefits. 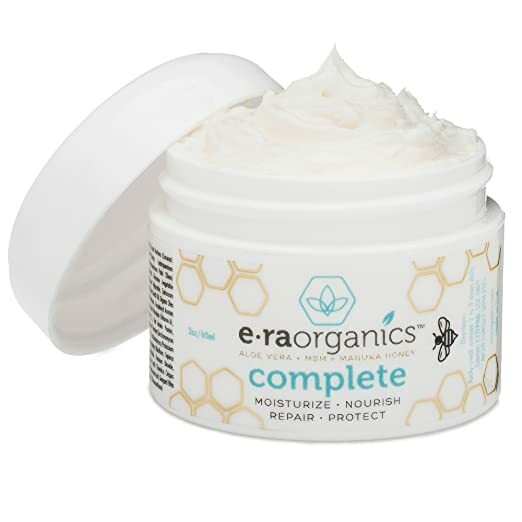 If you want to make sure you get the best moisturizer for rosacea that’s made out of quality and organic ingredients, Era Organics Face Cream is the one for you. It’s one of those few creams that won’t disrupt your skin’s pH. 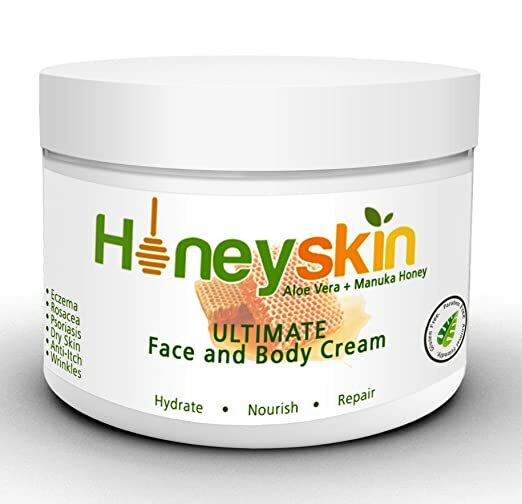 For a face and body cream you can use for rosacea, HoneySkin Organics Aloe Vera + Manuka Honey Ultimate Face and Body Cream is a highly recommended product. It has this rich and creamy formula made from organic ingredients that is easy to apply on the skin. 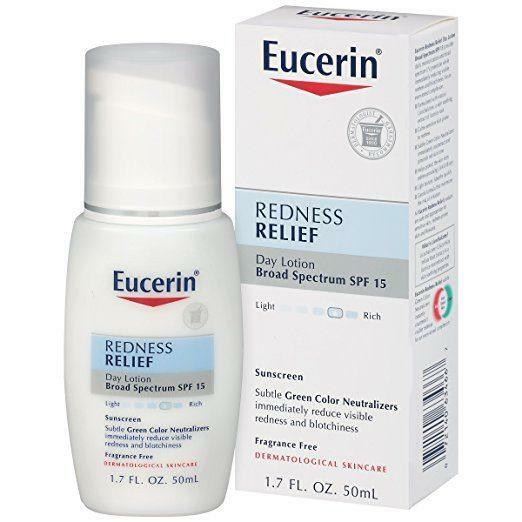 Eucerin Redness Relief Daily Perfecting Lotion can calm redness, protect your skin from the sun and neutralize redness. For its price, you can actually get a lot of benefits from this one. CeraVe Moisturizing Lotion contains ceramides and hyaluronic acid. It has a formula that feels lightweight and is free from fragrance. Now, before you settle for just any moisturizer, check out the best moisturizer for rosacea that topped our review. Miravage Facial Redness and Rosacea Relief Cream & Anti-Aging Moisturizer Serum is a hardworking product. It can’t just calm your rosacea but it can actually offer some great anti aging benefits. Aside from that, this serum also has the ability to minimize your pores, restore your skin’s elasticity and reduce your age spots. Upon dispensing, you’ll see a white cream. It tends to disappear- leaving no streaks- as you apply it. It absorbs easily into the skin and feels feather-light. There’s no greasiness or even heavy perfume (note: it is lightly scented) to annoy your senses. The product can be worn under makeup since it dries to a matte finish. And since it doesn’t get greasy, you won’t have to worry about your makeup sliding off of your face. The serum isn’t a miracle worker. You’re supposed to apply it twice a day to get great results and that includes consistent use. While it can calm your rosacea quickly, you may have to wait awhile before you see the dramatic effects of its anti-aging properties. We almost always like to see companies that dedicate themselves to producing natural products from organic ingredients. A lot of people eat organic foods, but they never stop to think about the other products they use. If you believe that organic ingredients are better for your health and the environment, then you will want to consider the advantages of using Era Organics Face Cream to fight your rosacea. Because Era Organics commits itself to using quality ingredients, you can expect to see several improvements in your skin. The cream has a non-greasy formula that doesn't clog pores or cause acne. The formula is also designed to keep your skin's PH balance at a healthy 5.5, which should help improve elasticity and decrease wrinkles. Just because this product works well for most people doesn't necessarily mean that it is the best option for you. Luckily, Era Organics offers a 60-day money back guarantee. If you don't see the results you expect, then you can always return the product for a full refund. Honeyskin Organics includes a wide range of useful ingredients in this face and body cream. Some of the ingredients that could help reduce signs of rosacea include coconut oil, aloe vera, MSM. By using so many ingredients, Honeyskin Organics has created a product that can appeal to people with all types of skin problems, such as psoriasis, and eczema. The downside to using so many ingredients is that more people could experience slight allergic reactions. You should check the full list of ingredients before putting this moisturizer on your skin. One of the best features of Honeyskin Organics moisturizer is that it does not include any fragrances. Men with rosacea may avoid some creams because they smell to feminine. Many women, of course, also prefer avoiding these fragrances because they can dry skin or cause allergic reactions. Eucerin Redness Relief Daily Perfecting Lotion offers a handful of benefits for your rosacea-affected skin. For one, it provides SPF 15 protection. It also has subtle green color neutralizers to tone down the redness of your skin. It also natural licochalcone, too, which can soothe your skin. The product has a slightly thick texture that is easy to apply, spread and absorbed by the skin. Even dispensing it is easy, too. You actually get a pump with its bottle. And its size makes it great for carrying around when you are traveling. Take note, however, that this lotion tends to dry quickly so you’ll have to work fast in blending it. Rubbing it when it’s already setting can make you end up with a slightly tacky and sticky feeling. CeraVe is one of the most affordable moisturizing lotions for rosacea. Don't dismiss it just because it has a cheaper price than some of its competitors.It still has a formula that could work well for you. One of the things we like most about CeraVe is that it works throughout the day. It dries quickly after you put it on in the morning, but it continues to release helpful ingredients for hours. If you are a busy person who doesn't want to spend a lot of time moisturizing, then this could be a good product for you. CeraVe is probably a good option for people who get outbreaks during spells of dry skin. CeraVe has been shown to hydrate skin well in most people. It has a deep-penetrating formula that really gets at the core of the problem. By keeping your skin properly hydrated, you should be able to keep your rosacea at bay. Scientists still have a lot to learn about rosacea, what causes it, and how to treat it. There seem to be some genetic factors, but environment also plays a role. Because there are probably several underlying causes, people with rosacea should make choices that will lower the risk of outbreaks. What you eat can affect when you have a rosacea flare up. In general, it is a good idea to avoid alcoholic beverages, spicy foods, hot drinks, and hot foods. If you have already noticed that certain food causes your skin to redden, you should avoid it. Most people, however, can improve their skin by avoiding these common triggers. The weather can also cause rosacea to worsen. Extreme temperatures are some of the most common reasons rosacea flares up. High wind, excessive sunlight, and humidity can also cause problems. Of course, you can't do much about the weather. You can, however, plan for changes in the weather. Always apply a non-greasy moisturizer on extremely hot and cold days. If you know that you are going to be in the sun a lot, choose a moisturizer that offers SPF protection. Avoiding products that contain these ingredients should help keep your skin healthier and more attractive. While there isn't a cure for rosacea, using the right moisturizer should help you control symptoms like redness and inflammation. The bad news is that you may have to spend several years fighting rosacea. The good news is that there are plenty of moisturizers that have been specifically formulated to help people with your condition.